will be coming to your area in 2018. 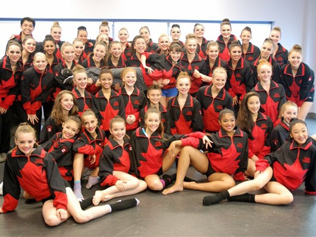 CDNC is the only dance competition in Canada that qualifies Canadian dancers to represent Canada at the prestigious World Championships. If you are looking for a stress free, well-organized dance competition with wonderful awards and a fun and encouraging dance competition for your dancers of all ages and levels, then we invite you to attend. Check out the latest from Team Canada! team and our plans for the 2019 competitive season.